I look forward to Wednesday each week because it means I get to post a new Disney Party Board. This week is extra special because my friend Amy from Disney Living is planning a Disney Ice Cream Social for her daughter. 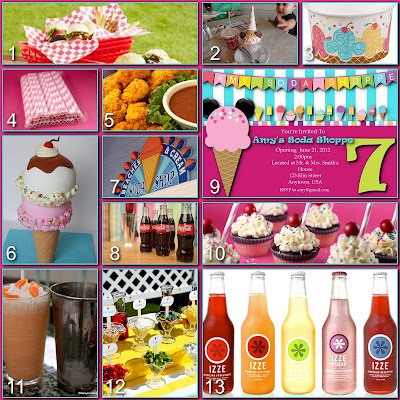 I thought a Disney Soda Shop theme would be really fun, with hot dogs and hamburgers served in the old fashioned red baskets, a DIY ice cream sundae bar and Frozen Sunshine, just like Beaches & Cream!! Burgers & Hot Dogs - Soda shop staples, Goofy Burgers & Hot Plutos would be great on the menu, served in retro red baskets. I recently found these at my local WalMart for just $4.99-and they came with Ketchup and Mustard bottles too. 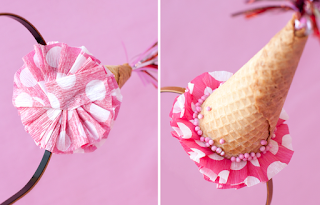 Ice Cream Cups - How cute are these disposable ice cream cups by Wilton? I think they work with our theme perfectly. Striped Paper Straws - I LOVE PAPER STRAWS!! They are not very expensive, they can be used in our Milk Shake Cupcakes (#10), in our Frozen Sunshine (#11) and in our Coke Floats (#8). 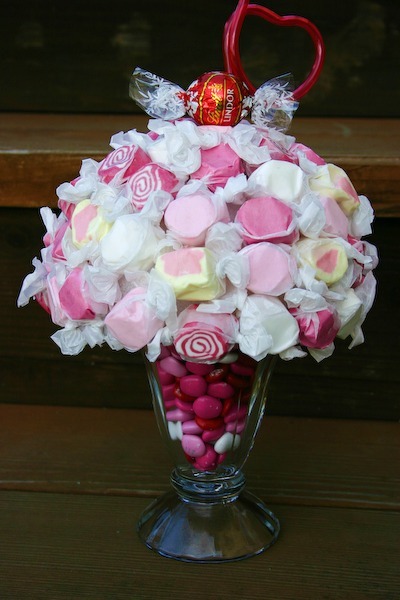 They can also take the place of lollipop sticks in cake pops or marshmallow pops. Don't forget to add Happy Birthday flags!! Donald's Dunkers - I know we just used this idea for our Mickey Mouse Clubhouse Party, but it works just as well here. Beaches & Cream Sign - You could replicate it and change the name to "Amy's Soda Shoppe" or "Minnie's Soda Shoppe" - Maybe even add some ears to the ice cream cone. Retro Coke Bottles - Coke Float anyone? Let your guests make their own Coke Float using vanilla ice cream and these Cokes in retro bottles. Soda Shoppe Invitation - I couldn't find the perfect invitation for this party so I created this one myself using papers and clip art from the Cupcake & Ice Cream collection by Paper Tree House Studio on Etsy. Milk Shake Cupcakes - I just love Bakerella!! These milk shake cupcakes go so well with our theme!! Frozen Sunshine - Straight from the Beaches & Cream menu! Take equal parts orange sherbet and vanilla ice cream and blend, adding seltzer (sparkling water) to the blender during the mixing process to get the desired consistency, garnish with whipped cream and candy orange slices. Minnie's Sundae Bar - Minnie has set up a fabulous DIY Sundae Bar with strawberries, cherries, nuts, sprinkles, chocolate chips, hot fudge, caramel sauce and whipped cream all displayed in sundae glasses. Notice that the back row was set up on a riser to make them easier for the guests to dip from. Izze Soda - These brightly colored fruit juice sodas add great flavor to the party. Their retro look fits right in with our Soda Shop theme. I think a colorful banner with "Amy's Soda Shoppe" in pennants similar to the invitation would look great and add continuity to the party. These cute milkshake centerpieces made from M&M's and taffy would look great sitting our around the room. Here is the tutorial for making them from Bakergirl. I thought these headbands, from Kara's Party Ideas, made from sugar cones were cute and easy to make. Younger girls would love them!! 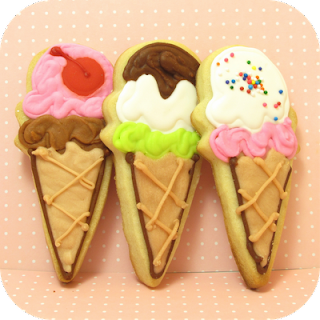 Just one more - some really cute ice cream cone cookies from The Decorated Cookie!! Amy will be posting her ice cream cone centerpieces next Monday for the PINspiration Blog Hop on her blog Disney Living, you don't want to miss it! I can't wait to see pictures from the party!! I love the links, everyone should be clicking them each week. There is so much more there! Glad you like it!! Hugs!! HAPPY BIRTHDAY to DisKid #2!! This is one of my favorites!!! How creative!